It’s something to consider. 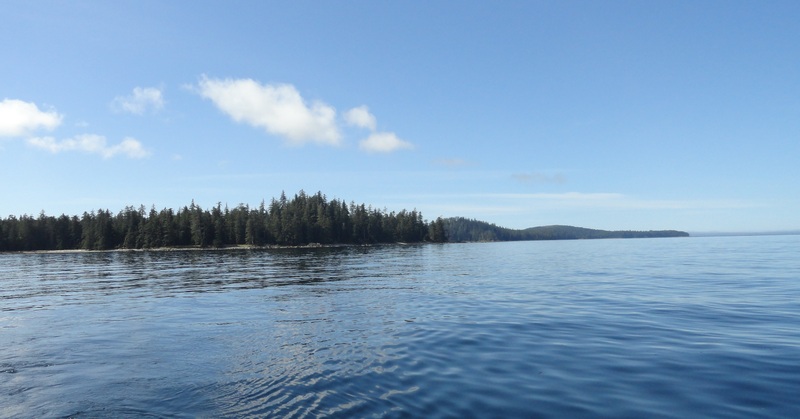 The records show that late-season fishing at Langara Island has an extra layer of mystique, especially after all the other lodges have closed down but summer still hangs in the air and the Salmon remain in abundance. It’s a special feeling to have this place entirely to yourself, so we are going to keep the fires burning at The Clubhouse right up until our End Of Season Party – aka Langara Rocks – where the finest in culinary arts and live music will be featured nightly on The Clubhouse deck in a rock and roll salute to 2017 on September 10-13. 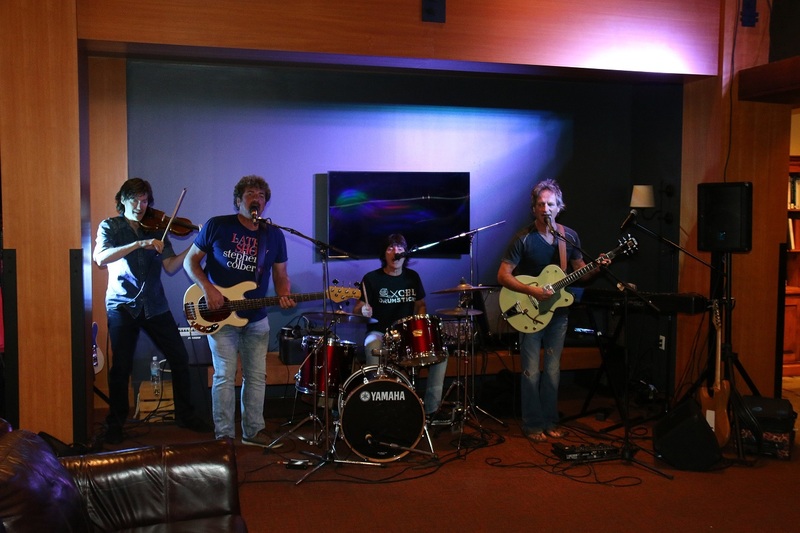 * The Dock Rockers playing for our privileged group of guests. 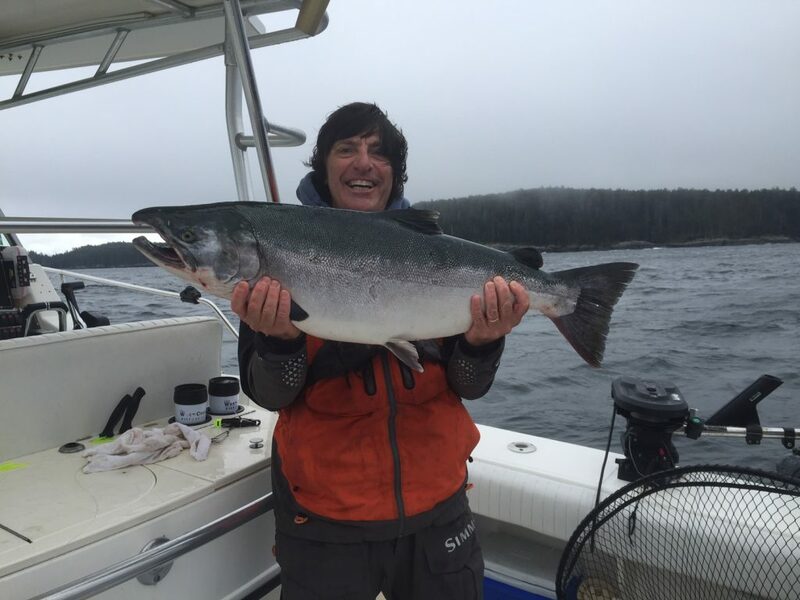 When it comes to fishing, nobody describes late-season atmosphere at Langara Island quite like Mike Tonnesen (AKA Screamer), veteran head guide at The Clubhouse. Screamer’s late-season reports from each of the last four years indicate that the fishing season was far from over at the end of August. 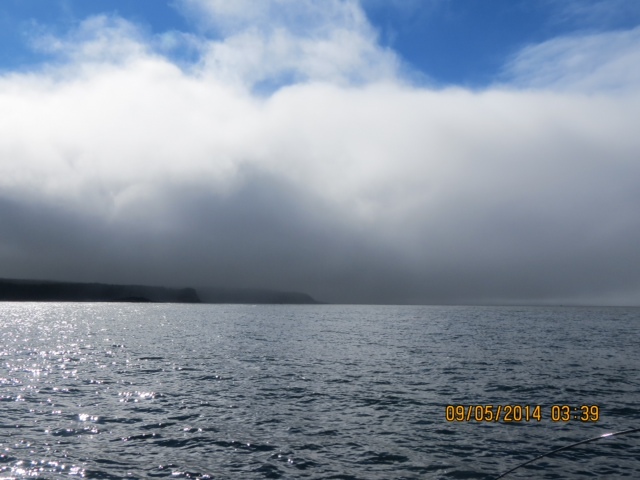 In fact, it was during early September he reported great weather, calm seas and some of the best fishing of the summer for Chinook and Coho Salmon. Have a quick read through Screamer’s September highlights, and find out why a late-season adventure should be of interest to you! * Hard to beat fishing conditions like this. 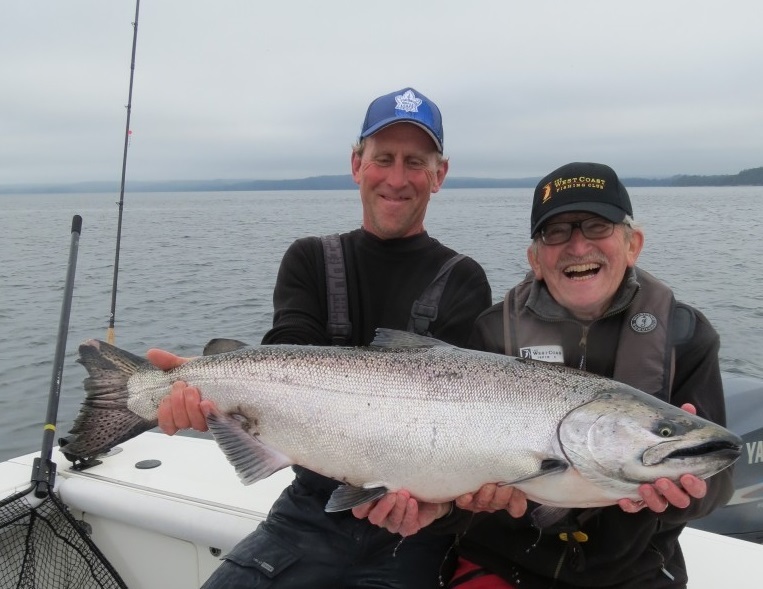 * Don Fafard and his 42lb September Tyee. 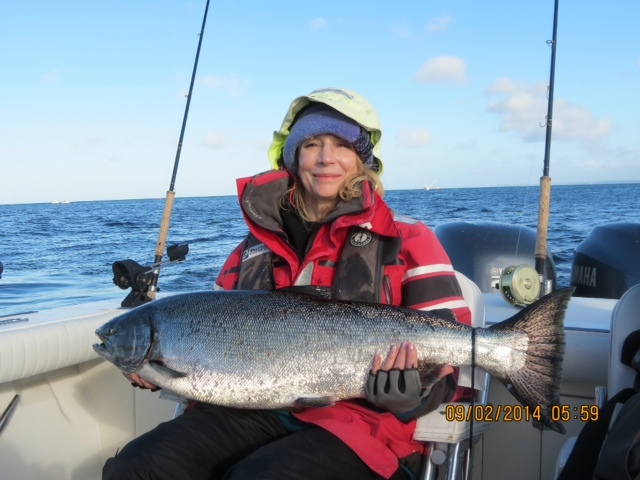 * Dyane Legge with a fine mid September Chinook caught with guide Screamer. 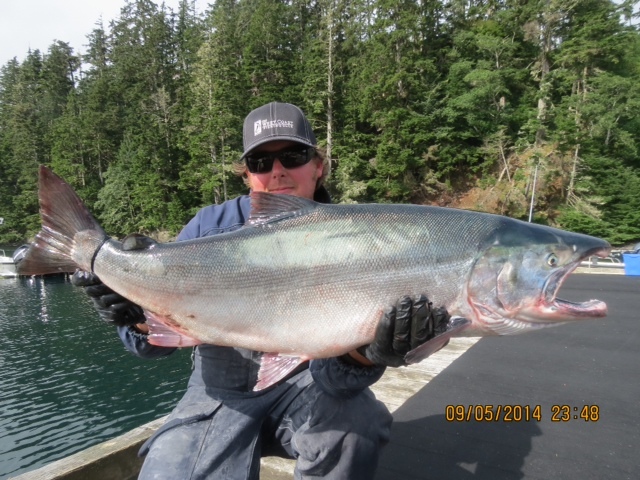 * Marc Lafrance with his 19lb Coho. * The ladys get it done in September. 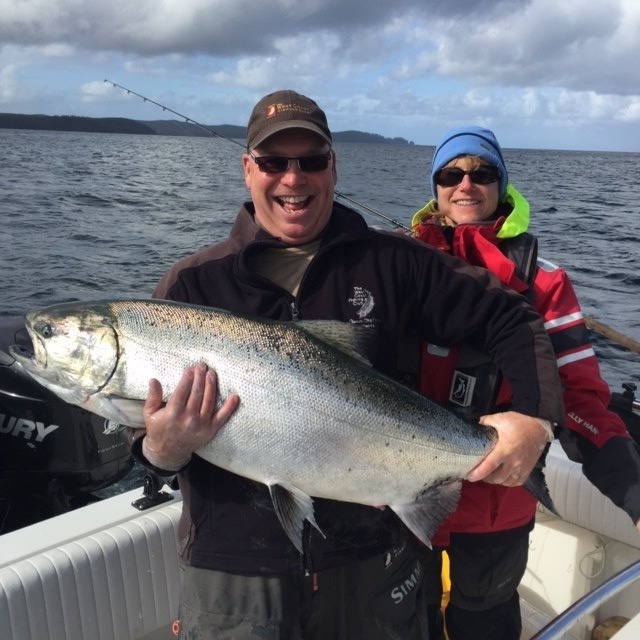 * Jim and Whitney Reidy with a 45lb September Tyee. 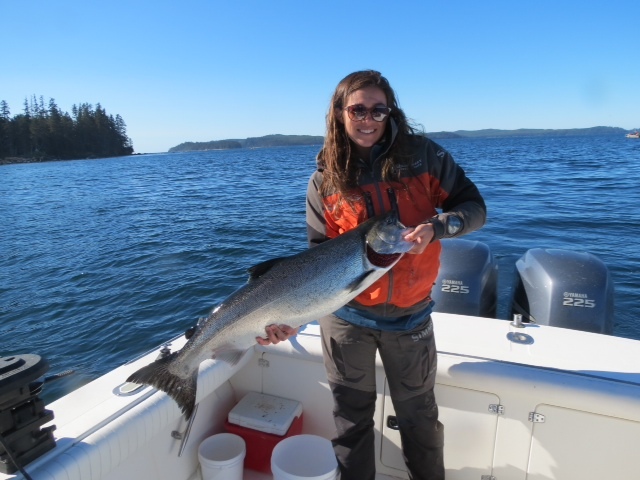 * Lauren Garske can catch them too as she shows off her catch on a perfect Haida Gwaii day. 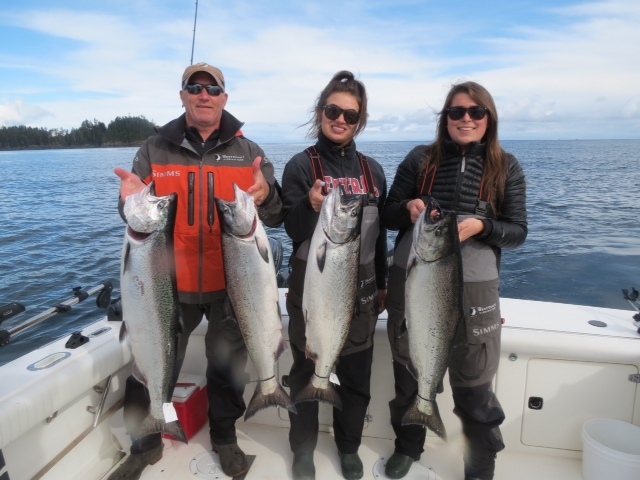 * Greg Garske with two of his three daughters (Lindsay and McKenna) and some nice September Chinooks. 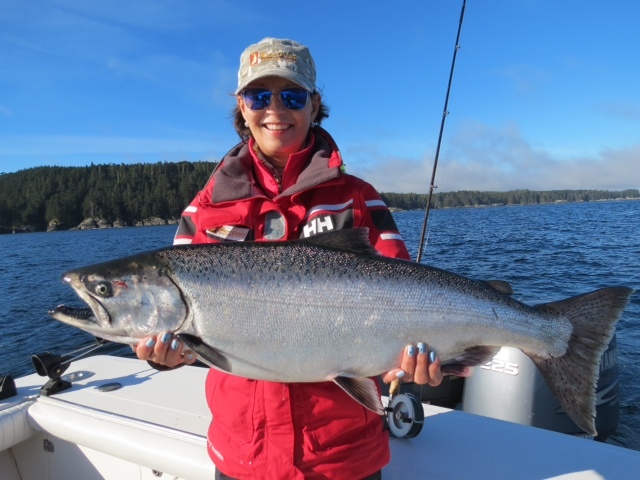 * Cheryl Pitchford and a 27lb Chinook on a sunny September day. 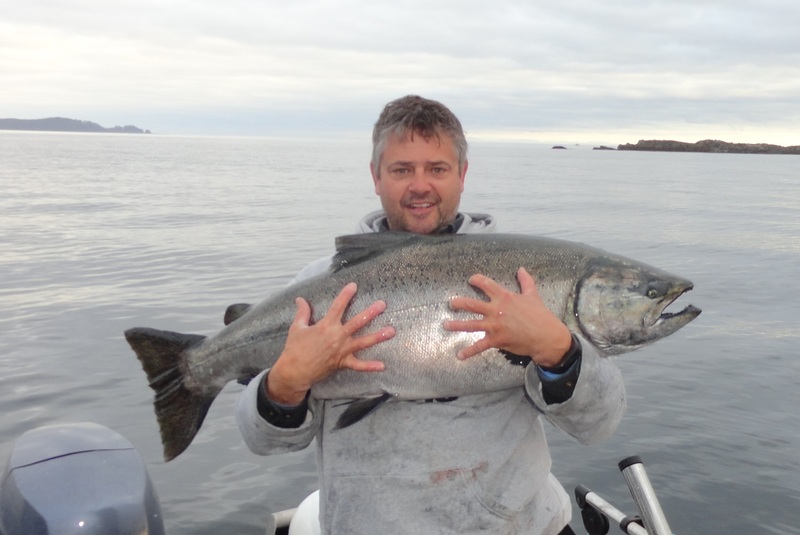 * Matt Conelley and a 19lb trophy Coho. 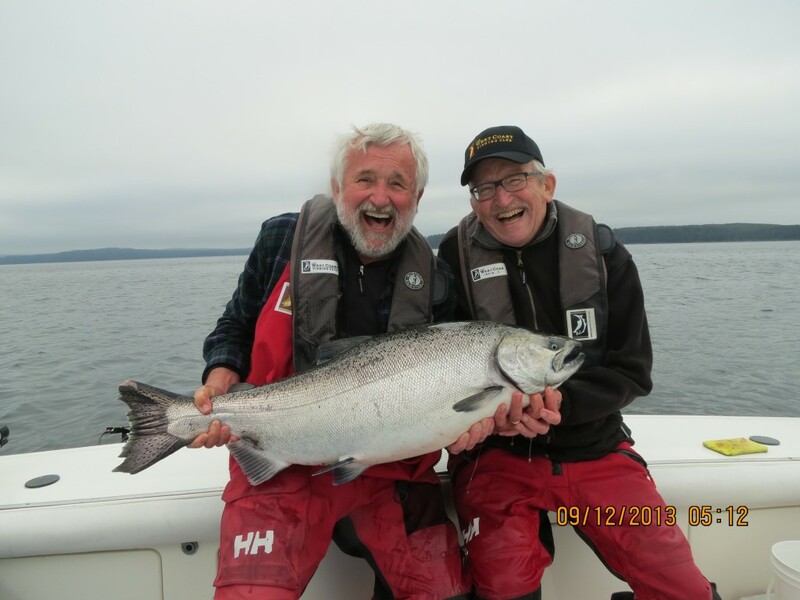 * Screamer and Jack Burbidge proudly showing off a September Tyee. Date Sept 13, 2013. 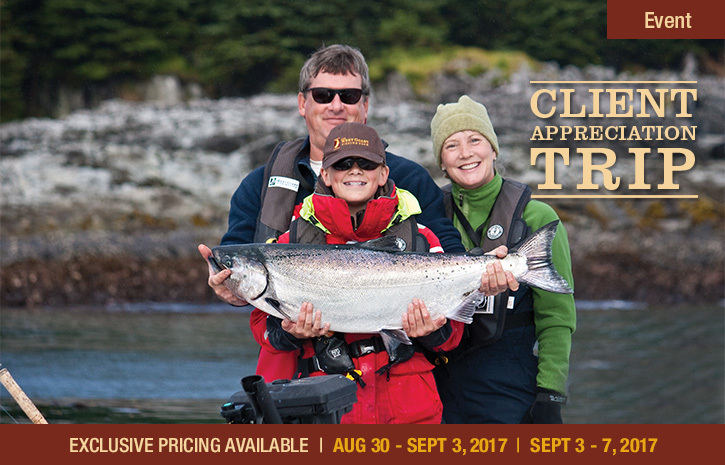 Don’t forget, guests who have already fished with us this year can take advantage of the discounted Client Appreciation trips offered for a return trip on August 30 to September 3 and September 3 to 7 at both The Clubhouse and North Island Lodge. 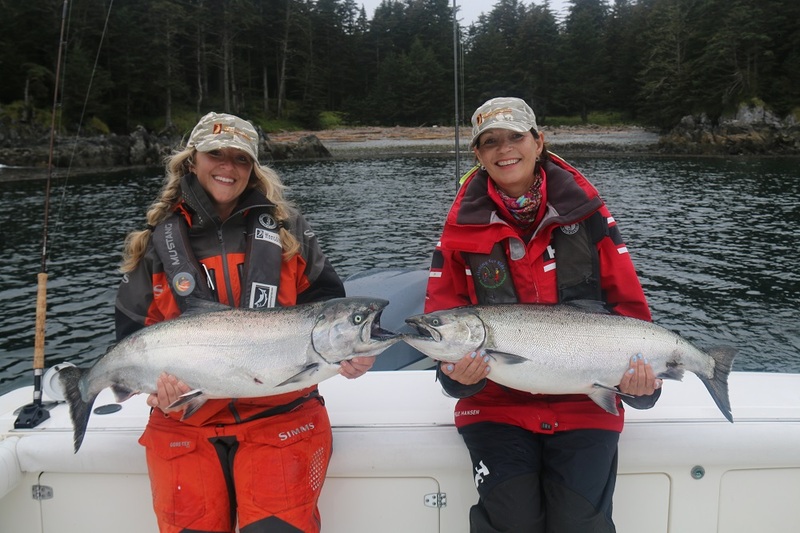 For more information or to book your spots contact us at info@westcoastfishingclub.com or call us at 1-888-432-6666.